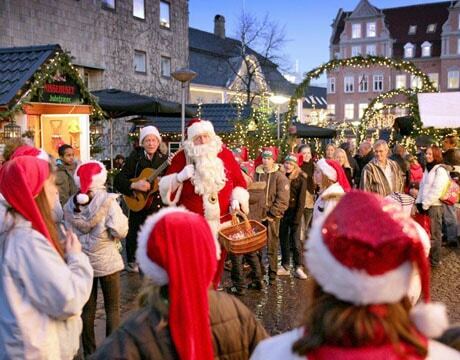 The Aalborg City Business Association has installed sensors in pedestrian areas of the Danish city to track visitor behaviour using a Bluetooth and WiFi technology platform provided by IT company Blip Systems. The BlipTrack platform is being used to monitor real-time pedestrian flow, visitor dwell time and movement patterns from the moment they enter an area to when they leave. It can identify the number of people, where and when they shop. It can also be used to monitor the impact of large events such as this month’s annual Christmas market. “BlipTrack works by detecting Bluetooth and WiFi devices in the proximity of a BlipTrack sensor,” the company explained to NFC World+. “A device can be a mobile phone, tablet, IVI system, laptop and more. Each device has a unique MAC address which is assigned to the device during manufacturing and cannot be modified. The collected data will be used by the municipality for urban development and to optimise the flow of cars and people in and around the city. BlipTrack is also being used internationally in railway stations, for road traffic and in airports including Amsterdam Schiphol, Toronto Pearson, Dubai International and Manchester Airport. This is the first time, however, that the technology has been used to measure, optimize and improve the layout of a town centre.